Easter Sunday is almost here, which means it is time over much of the country to be planting vegetable seeds, strawberry plants, and cleaning up the garden beds. This article explains how to shop for ugly plants, turning one into many: How to Double (or Triple or Quadruple) Your Plants. Growing from seed but having a problem with your seedlings collapsing just as they look well- formed? This article about Damping Off will help. 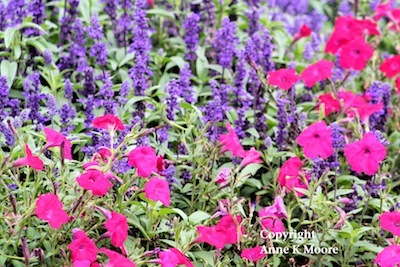 How about some ideas on combining colors while you shop or how to combine plants in containers? Check out Color Combinations. If your Easter plans include a few chicks, Chickens in Gardens might interest you. GardenSmart has a wealth of information waiting to help you garden better and garden SMART. Follow Anne K Moore & Linda Weiss at The Gardener and the Chef.